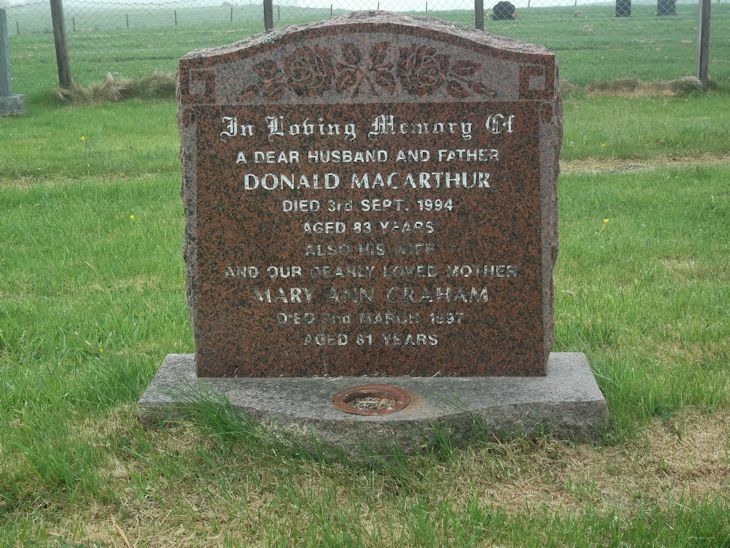 Skye Gravestones | Donald & Mary (Graham) Macarthur. Donald & Mary (Graham) Macarthur. In loving memory of/a dearly loved husband & father/DONALD MACARTHUR/died 3rd Sept. 1994/aged 83 years/also his wife/and our dearly loved mother/MARY ANN GRAHAM/died 2nd March 1997/aged 81 years.